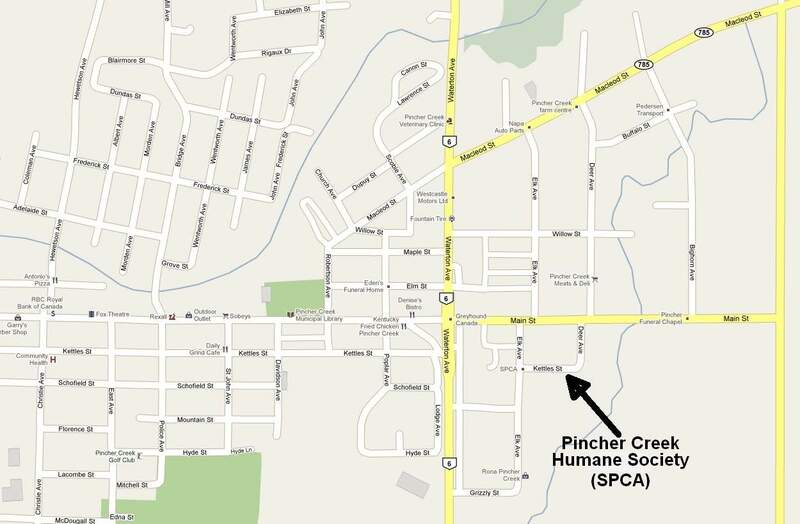 Please come and visit us at 1068 Kettles Street Pincher Creek. We would love for you to come visit our animals in need of a forever home. Facebook, Twitter and Email icons links are at the top of the website.